← Bubbles to Make Us Smile. Some friends are there for you no matter what continent you land yourself… and some relationships fade in due time. It is enevitable as we all become caught up in the immediate world surrounding us. I’ve come to accept and also appreciate the fading of old relationships, strengthening the strong, and nurturing of the new. Danae (and her equally wonderful sister Carly) met Mike and I in Lake Louise, Canada six cold years ago. It was the deep winter, and we were drinking at an 80’s party. They had travelled from their lodge up the road to the chalets that Mike and I worked at. With limited social gatherings, it was really nice to let loose with our neighbours (Baker Creek is situated on a lonely stretch of road that cuts through some majestic and altogether impressive mountains). It could be a lonely life for some… but for us… it was heaven. The snowboarding, the log fires, and sense of adventure kept us all connected. We shared a passion for the great wilderness that is Banff National Park. It’s been nearly 6 years since we all met…and it’s been awesome to remain close with the Watson’s here in Australia. Yesterday it was Danae’s birthday. She is incredibly intelligent, gentle, warm and kind hearted. 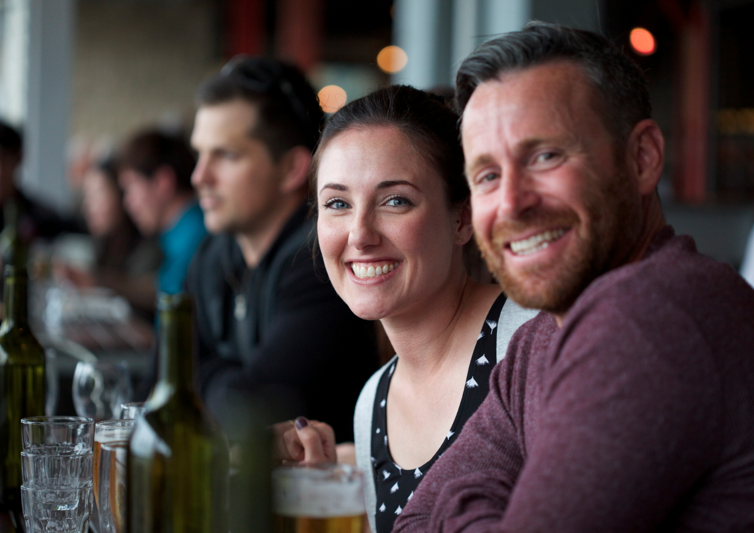 We celebrated at Fremantle’s “Little Creatures Brewery” and legitimately ate like kings and queens. I feel very fortunate to call her and Carly friends. I know Mike does too. This entry was tagged australia, Banff National Park, Birthday, Canada, family, Fremantle, friends, Little Creatures Brewery, Love, Travel, Western Australia. Bookmark the permalink.